The extraction of natural resources has intensified and expanded since the 1990s, gaining greater significance as a disputed field of social and political tensions since the turn of the century. While some actors compete over access to and control of natural resources, others emphasize the urgency to reverse the exponential expansion of extractive activities. Conflicts over the uneven distribution of risks and benefits associated to the exploration and production of resources have proliferated accordingly. Beyond material aspects, these conflicts are entangled in ideational struggles between social actors driven by competing interests and understandings of how society and nature interactions should be arranged. Such developments are ultimately about an ongoing process of negotiation and contestation of the kinds of knowledge about nature that are to be socially accepted as relevant, legitimate and true. In the process, certain systems of meaning and signification gain currency and “stick”, while others are discarded as irrelevant or false. Against this backdrop, the workshop titled “The enforced expansion of extractive frontiers: struggles over power, meaning and knowledge” welcomed an international group of 25 scholars with interdisciplinary backgrounds. Dr. Peter Larsen from the University of Luzern, and Dr. Mariana Walter from the Institut de Ciència i Tecnologia Ambientals (ICTA) – Universitat Autònoma de Barcelona (UAB) featured as the keynote speakers. Dr. Larsen discussed the concept of “post-frontier governance” as a way to analyse divergent demands about rights, participation and conservation. These demands are connected to local communities’ concern for self-determination, environmentalists’ aim of biodiversity conservation, and political-economic actors’ stakes in resource extraction. Whereas the ‘frontier’ concept brings to mind ideas of uncharted territory, which is out of sight and control, the ‘post-frontier’, as argued by Larsen, places the competing narratives of specific subjects at the centre of the debate. Dr. Walter talked about the emergence and spread of consultas comunitarias or community referenda in Latin America. Despite the lack of a legally binding character, these mechanisms hold great symbolic power and are redefining international principles such as that of Free Prior and Informed Consent (FPIC), which according to ILO convention 169 should be organized by the state, and not by communities. 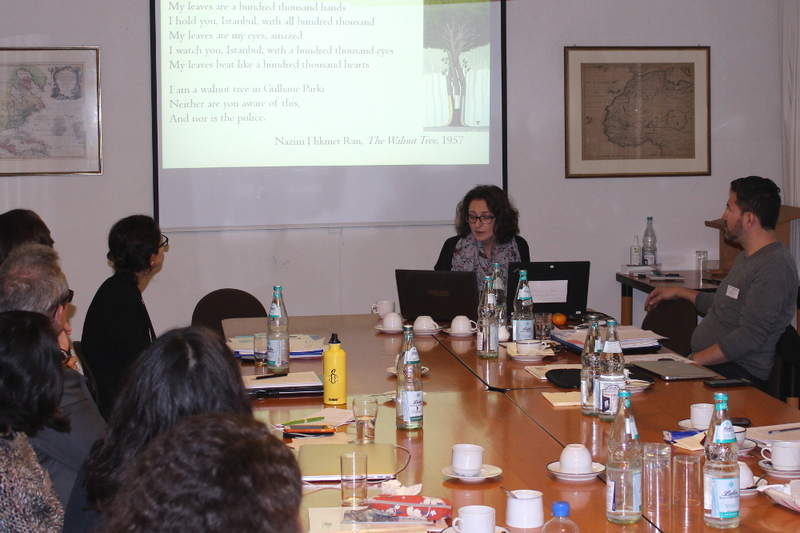 The 5th Workshop of the Working Group “Nature, Resources and Conflicts” of the German Association for Peace and Conflict Studies took place at the Arnold Bergstraesser Institute in Freiburg on the 10th and 11th of November, 2016. It was co-organized by the cluster Politics of Natural Resources at the Arnold Bergstraesser Institute (ABI) and the BMBF-Junior Research Group “Bioeconomy and Inequalities” of the University of Jena. The discussion rounds, encompassing 11 presentations about the Americas, Africa, Asia, and Eurasia, revealed that the concepts of power, meaning and knowledge deserve careful unpacking and that it makes analytical sense to apply them in conversation with one another. It became evident that the study of these three concepts is particularly promising when conducted following an understanding of politics as a struggle over discursive hegemony. Discussions tackled back and forth between theoretical aspects related to these concepts and empirical details of a diverse set of case studies. Examples include the expansion of agro-extractivism and conflicts around water in coastal Peru, the co-management of the Mole National Park in Ghana, or the challenges and opportunities of establishing natural resource participatory systems in the Mayan forests. Importantly, discussions in the workshop revealed that social actors are constantly trying to secure support for their specific definition of nature and associated knowledge systems. Actors that are formally excluded from the halls of decision-making regarding natural resource management face a particular challenge in this respect. Contributions analysing, for example, the multi-ethnic and multi-class coalitions critical to the expansion of oil and industrial mineral extraction in Ecuador explained how power relations and structures interact with different struggles over legitimate and authorized knowledge. Presenters further engaged in a critical debate about how and why particular systems of signification and knowledge regimes collide and connect at particular stages of conflicts, for instance, regarding culturally significant animals in the United States, the Kuraz Sugar Development Project in Ethiopia, or hyper-developmentalist urban projects in Istanbul, Turkey. Likewise, discussions showed that in the context of intensifying competition for access to and control of natural resources, it is insightful to approach power as exercised through practices of signification and re-signification. This goes beyond traditional conceptions of power understood as the top-down repression of actors through the use of material resources (e.g. force or finance) or normative bodies (e.g. laws or sanctions). Linking the concepts of “meaning” and “signification” to the material and normative dimensions of power helps to explain, for example, the emergence of novel discourses in the Andean region such as Buen Vivir which seeks to foster harmonic relationships between human beings, ancestors, nature, community, the past and the future. Buen Vivir is connected to an understanding of nature as a living and sacred entity. This has led to the recognition of nature as a subject with legally enforceable rights in Ecuador and Bolivia. Studies emphasizing the interconnection between power and language can also explain how rhetoric devices are enacted as a means to legitimate access to subsoil resources, as in the case of Chinese-Latin American relations. In conclusion, the workshop exposed significant room for future research on how the concepts of power, meaning and knowledge intersect in the study of conflicts over nature. The combination of these concepts yields new perspectives on issues including transnational movements, indigeneity, local resistance, political dissent and mobilization, governance and state building. New questions could include: How do technology and science affect the contestation of extractive endeavours? In what ways are knowledge and meaning constitutive of social hierarchies, identities and capacities to govern resources? How do different systems of signification affect the outcomes of particular resource conflicts? Future workshops, blog entries, and publications of members of the Working Group “Nature, Resources and Conflicts” of the German Association for Peace and Conflict Studies will pick up on this and related topics. 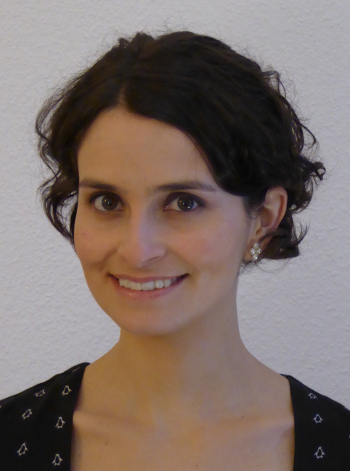 Cristina Espinosa works at the Arnold-Bergstraesser-Institute at the University of Freiburg (as coordinator of the research cluster “Politics of Natural Resources” and expert for Latin America). She obtained her PhD on 2015 and was awarded the Erasmus Prize for the Liberal Arts and Sciences from the University College Freiburg for her dissertation “Apart from nature or a part of nature? Discourse analyses of the politics of redefining the relationships between humans and nature”. Her current research focuses on the knowledge politics of large-scale mining in the Andean region. 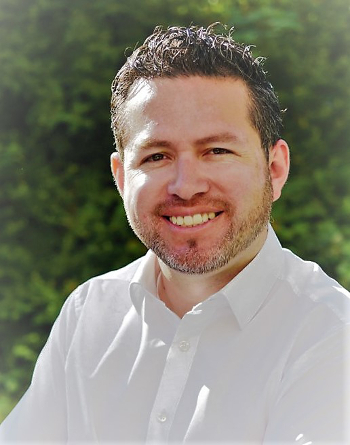 Fabricio Rodríguez works at the University of Jena and is associated researcher at the Arnold Bergstraesser Institute in Freiburg. His research focuses on the political economy of oil, minerals and biomass in Latin America’s relations with China.